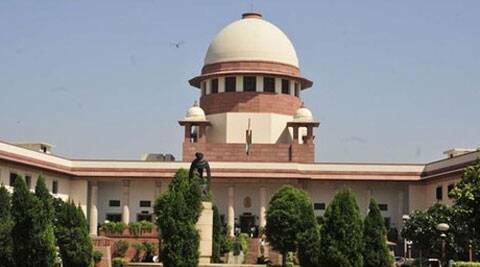 The Supreme Court on Wednesday lashed out at Justice C S Karnan and termed his conduct as “indecorous” and “uncharitable”. A bench led by Justice B S Chauhan said Justice Karnan’s “raw unconventional protest” was despicable. The Supreme Court on Wednesday came down heavily on Justice C S Karnan, who had stormed a Madras High Court room in January alleging the selection of judges was “not fair” and “irregular”, and termed his conduct as “indecorous” and “uncharitable”. The court observed that such conduct may require a more serious judicial assessment in future. The apex court pointed out that immense dignity was expected from the judges, and that weaknesses or personal notions should not be exposed so as to affect judicial proceedings. With a “dignified reluctance touching disapproval,” the court refrained from passing any order against Justice Karnan, saying that it was presently concerned with a larger constitutional issue and such matters could be decided at an appropriate time. Justice Karnan is not new to controversies. Last June, he had ruled that a couple indulging in “sexual gratification” could be legally considered husband and wife, setting off a furious debate about its implications. In November 2011, he had created a flutter by alleging that fellow judges had humiliated him. He said dalit judges were targeted and their reputation tarnished whenever they asserted their self-respect. He had claimed that four-five HC judges had humiliated him on the basis of caste. Justice Karnan, 59, set a precedent at that point in time by addressing a crowded press conference at his chambers in the High Court, where he said he was facing humiliation and embarrassment since April 2009. He also was the first sitting judge in India to lodge a complaint of caste bias with the National Commission for SC/ST. “Some judges are very narrow-minded; they seek to dominate dalit judges,” Karnan had said. In January this year, Karnan had sent a complaint to the Commission for Scheduled Castes in New Delhi against former Madras HC Chief Justice R K Agrawal, who has since been elevated to the apex court.